❥ We are proud to be a cruelty free boutique beauty brand. This enables us to respond quickly to the newest released active ingredients and incorporate them into the custom formulas and products we produce. This way, our customers are receiving the most up to date products to help prevent premature skin aging, solve skin care issues, and keep skin healthy and radiant. ❥ You will never find mineral oil, petroleum, petrolatum, sulfates, (sodium lauryl sulfate or sodium laureth sulfate), parabens, phthalates, artificial dyes or coloring, cheap fillers, or harsh chemicals in any of our products, and they are cruelty free. We take the health and wellness of your skin seriously, and our holistic products are designed to nourish, and nurture your skin. 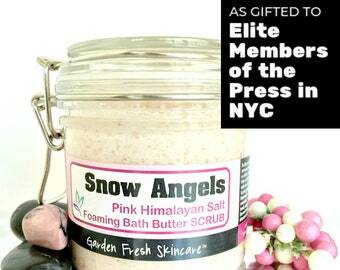 ❥ We also offer custom formulations and scent requests. ❥ We can customize around your special needs/allergies, and can formulate additional GLUTEN FREE products upon request. Simply drop us a note with your needs. 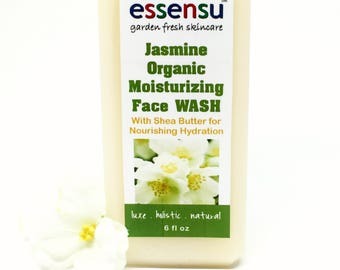 ❥ Most products are also available UNSCENTED. Many of our products are VEGAN friendly, and many of our formulas can be modified to accommodate a vegan ingredient preference. *Please allow extra time for custom or large orders. ★ Our products have been gifted to individual celebrities such as Selena Gomez and her band, and actress Stephanie Drapeau, were distributed to elite members of the press and media at the 2016 MTV and 2014 Golden Globe GBK Celebrity Gift Lounges, have been featured in celebrity gift lounge event guides, such as the 2014 Golden Globes, 2013's NY Fashion Week, were distributed to elite press and media at multiple NYC press events, and have been gifted to celebrity charity events. ❥ We are cruelty free - our products are not tested on animals, and we purchase our 'actives' from manufacturers who do not test on animals. ❥ Due to the handmade nature of our products, slight variations in color, scent, and/or form are expected, and are not considered product flaws. ► If ordering more than item, a shipping overage may be incurred. Not to worry - we always refund excess shipping above our minimum shipping, and issue a credit to your method of payment. ► Due to the personal nature of skin care products and hygiene laws, we do not accept returns or make exchanges. All sales must be final. ► If you have skin sensitivities and/or any allergies, please read the listed ingredients prior to purchasing. We are not to be held responsible for an allergic reaction, skin sensitivity, and/or irritation you may incur from known, or unknown allergens. For our complete returns policy, please scroll down on our main page to the policies section. Thank you so much. I got the best compliment from my favorite Aunt who is in her 70's.... though she always bestows love on me with her kind heart... she told me for the first time ever that I have not aged at all within the last few years! She said it with a serious tone.. ha ha ha - I LOVE her - and I stand by this product because I see its effects. It is exactly what the skin needs - the oil is non-greasy, soaks deep into the skin within seconds and a soft youthful appearance is the result! Thank you so much for the fabulous avocado body butter sample. it is divine! Peace and love to you always!!! Our Zen Be With You Calming Aromatherapy Spray with free crystal in every bottle is being gifted to an exciting group of celebrity moms for Mother's Day via The Artisan group of which we are a member. Aloe Vera is fabulous in any form, and avocados are wonderful for the skin and hair. I like to add them to my salads. Delight Gluten Free Magazine featured our Blueberry Smoothie Moisturizing Natural Body Wash. Steal Youth Organic Age Defense Face & Eye Cream was gifted to press members at the Golden Globe Awards Gift Lounge. essensu's Lavender Pumpkin Botanical Body Wash was gifted to Selena Gomez via our membership in The Artisan Group. Our Cotton Candy Organic Roll-On Perfume Oil was featured on Delish.com. We have a true passion to create an exceptional holistic skincare line right from Mother Nature's Apothecary. Our products will excite your senses through Aromatherapy. They may also provide calm and relaxation simply by inhaling their aroma. We Bring The Garden To Luxury Holistic Skincare. Our mission at ESSENSU™ is to share our passion for natural skincare by providing the ultimate skincare experience, and to provide wellness from the outside in. What we put on our skin is as important as what we put into our bodies. It's important to nourish our skin, which is our body's largest organ, just as we need to nourish our bodies. We can nurture our skin, which in turn nurtures our body, by including the gifts Mother Nature has bestowed upon us, into our daily beauty routine. Nature is perhaps our most powerful healer, and it provides us with the inspiration for each and every product we create and formulate. ESSENSU™ ... Luxurious Garden Fresh Skincare From Mother Nature's Apothecary. Nature is perhaps our most powerful healer, and it provides us with the inspiration for each and every product we create and formulate. 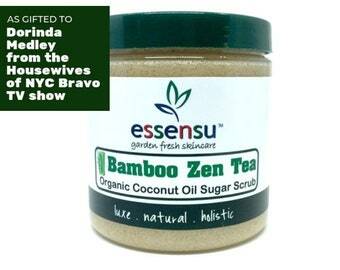 ESSENSU™ ... Luxurious Garden Fresh Holistic Skincare From Mother Nature's Apothecary. Our mission at ESSENSU™ is to share our passion for natural skincare by providing the ultimate skincare experience, to promote wellness from the outside in. What we put on our skin is as important as what we put into our bodies. It's important to nourish our skin, which is our body's largest organ, just as we need to nourish our bodies. We're also able to nurture our skin, which in turn nurtures our body, simply by including the gifts Mother Nature has bestowed upon us into our daily beauty routine. Nature is perhaps our most powerful healer, and it provides us with inspiration for each and every product we create and formulate. ► If ordering more than item, a shipping overage may be incurred. Not to worry - we always refund excess shipping above our minimum shipping fee, and issue a credit to your method of payment. ► Shipping and payment fees will not be refunded, if at our discretion store credit is issued, due to any agreed upon issue a customer may have had, after the order has been received. ► Refunds for delivered purchases, or purchases en route, will not be issued. Refunds will not be issued due to a customer changing their mind, ordering the wrong size product, not liking the scent ordered, supplying an incorrect shipping address, etc. If we should agree to any sort of compensation, it will be for store credit only, less shipping and transaction fees paid on behalf of the sale. Please do not send back any products you have changed your mind on, and ask for a refund. A refund will not be issued, as all sales are final. This is the due to the personal nature of skin care products and hygiene laws. Packages sent back to us will not be returned, unless customer pays the return fees. Customer satisfaction is of utmost importance to us, and we take great pride in delivering quality products. However, it is up to the buyer to be sure of scent preferences, size, product ingredients, any known allergies, etc. before purchasing. Due to the handmade nature of our products, slight variations in color, scent, and/or form are expected, and are not considered product flaws. ► If you are unsure of a scent, please ask us to send you a scent sample, which is called a "sniffy" before committing to a full sized product. ► Custom orders may not be returned. All custom orders are a final sale. ► If you receive faulty, damaged or incorrect merchandise, please notify us immediately, so we can correct any errors, have the damaged inspected by the postal service, so we may have a mutually beneficial transaction outcome. We accept Pay Pal, and Etsy Payments. ► If ordering more than item, or shipping to zones closest to us, a shipping overage may be incurred. Not to worry - we always REFUND EXCESS SHIPPING above our minimum, and issue a credit to your method of payment. ► If you are paying with Pay Pal, you do NOT need a Pay Pal account to purchase using your credit or debit card. ► If an order is cancelled prior to packaging and shipment, a refund may be requested. However, payment fees we incur from the payment processor on behalf of the sale, will be deducted from the refund amount. We will not incur fees due to a customer changing their mind. Therefore, please be certain of your order before placing it. ► If ordering more than item, a shipping overage may be incurred. Not to worry - we always refund excess shipping above our minimum, and issue a credit to your method of payment. ► The shipping fees shown are for items shipping within the United States. For all other countries, please send a convo with what you would like to purchase and a private listing will be put up for you, which will include shipping to your country. After your approval of course. ► Most orders will ship via USPS Priority Mail, or First Class Mail (depending on weight). ► A delivery confirmation and tracking number is included with Priority Mail shipments. ► Orders usually ship within three to five days, if not earlier. For multiple item purchases, or custom formulations or sizes, please allow extra time, as products are made fresh for you. ► In the rare event an item arrives damaged from shipment, we must be notified immediately, so we can rectify the situation. ► Some countries charge a VAT tax or duties on items ordered from outside their country. If you are unsure of these charges ahead of time, please check with your local government office or postal service. Import fees, duties, or VAT taxes are the responsibility of the buyer. Please be aware of these procedures for your foreign customs department, as essensu is not responsible for fees incurred as a result of customs inspection. If your package remains unclaimed, and is returned to us due to non-payment of said fees by your postal service or customs, no refund will be issued for shipping or transaction charges. Q - What Does Natural Mean To Us? 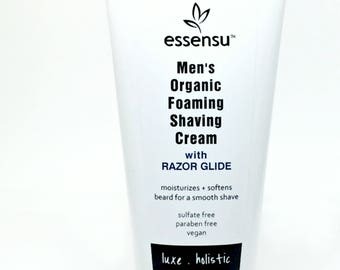 A: It means products are formulated with therapeutic concentrations of plant-based and naturally derived ingredients, gentle preservatives, no sodium lauryl or laureth sulfates, petroleum, petrolatum, mineral oil, harsh chemicals, or synthetic dyes, and no phthalates, in addition to weekly production personally made, for ultimate freshness. Q - Why Do Some of My Products Turn a Different Color? A: Vanilla notes often discolor bath and body products. This may or may not happen. If discoloration does occur, it will usually turn a product some shade of tan to light brown. This can happen with any scent containing vanilla notes, even if vanilla isn't specifically listed. When using botanical fragrance oils, we often use our own proprietary blends, therefore, individual botanical oils are not listed. If you purchase a product from us and in the future it turns a different color, please rest assured your product is still safe to use. Any color change is simply a harmless occurrence due to the vanilla notes. Our bath & body products and soaps are for external use only. If any skin irritation develops, discontinue use. ESSENSU™ is not responsible for any injury incurred by use or misuse of any of our products. Although our products are formulated from garden fresh botanicals, ocean minerals and other natural materials, allergic reaction or skin sensitivity is possible. Therefore, please be aware of all ingredients lists. We do use some nut oils. If you have any allergy to any ingredient please take that into consideration. Many oils can be substituted for others. If you would like a product with an alternate oil, please let us know. We are happy to customize. If you experience any discomfort or abnormal reaction, discontinue use. ESSENSU™ is not responsible for damage or injury due to lack of care or attention when using our home fragrance products. These oils and products are not for human consumption. Avoid contact with skin, eyes or open flame. If oils or sprays come in contact with furniture, fabric or plastic, damage may occur. We are resolved from liability due to misuse or non-compliance of our published policies and warnings. It is the buyer's responsibility to use the products as intended and with care. Your purchase from ESSENSU™ signifies your acceptance of the aforementioned information and policies. Your personal data is only used to be able to ship your order to you, or communicate with you regarding your order. We do not share your information with any other company or persons. Wholesale is available for most of our products to qualified business meeting our minimum order requirements. Please inquire for more information.